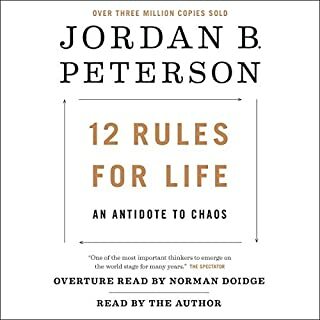 The trouble with Peterson is that he's long winded, but won't stop saying meaningful things, won't stop speaking truth, and won't sugar coat reality to make us feel better, and is therefore impossible to stop listening to. That's good. It's so disturbing to hear a grown man cry during a reading, because it forces us to encounter vulnerability and strength and breaks apart our denial of reality as a place of suffering. That's good. Only listen to this book if you want direct blunt reality, wisdom, and odd encouragement. Only listen if you want life to never be the same. This book has helped to initiate me as a man, because, perhaps for the first time, I don't feel ashamed of my masculinity, and so have lost some of the guilt around being a man in western culture. I think this book will mark a turnaround for men (and perhaps women) everywhere who feel disillusioned with life, because here, implicitly, he calls out the gold in men by telling them, "You have something to offer the world." Now I know there is something worth fighting and suffering for, a better tomorrow for me, and for those around me, because I've realized that because I'm a man, I can make a little more chaos into order. 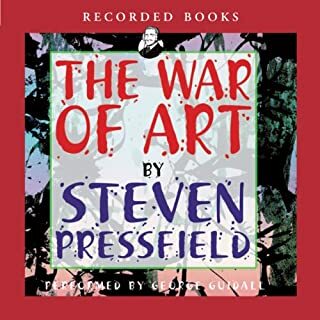 If you want a kick in the pants, and to feel the heat of your destiny, The War of Art will push you to do what you were born to do. So far I'm just into the book, but it's abundantly clear she's not a narrator. The same voice for every character, her own, even for the men. 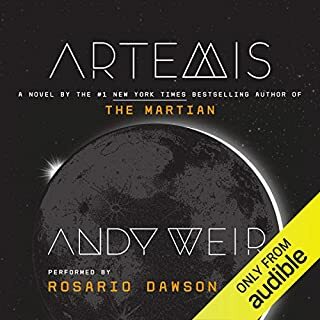 Please, find a narrator who performs the book instead of just reading it. The lady coauthor drops into the book all the time to voice her thoughts. I would prefer to hear Mr. Hill alone. According to acquired needs theory, there are three kinds of people: those who seek power, those who seek adulation, and those who seek accomplishment. All people desire all three, but in any given person one of these desires predominates. The identity of the dominant desire is fixed by one's innate psychological constitution, but the exact manner in which one goes about fulfilling this desire is determined by experience. I expected at least an hour or two of content for the price, but it was 2 minutes. I would have liked it to go into far more detail. What could J.-M. Kuczynski have done to make this a more enjoyable book for you? 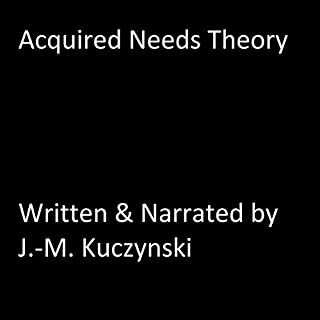 Did Acquired Needs Theory inspire you to do anything? Made me laugh so hard people turned their heads! 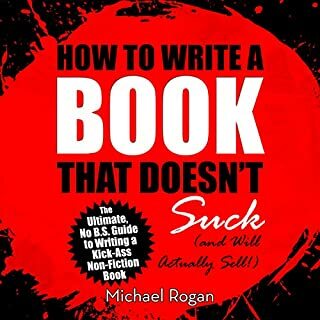 I've been floundering in obscurity about how to write a book, then it dawned on me, why don't I ask other writers? Enter this book. Extremely informative, direct, and hilarious. I would like to hear some more of his stories, and the pause between sections is too brief, but otherwise I highly recommend listening to it. A truckload of concentrated, valuable information in a tiny package, I took tons of notes for all the actionable points. If you want to stop procrastinating and get a book done, buy it and use it. What did you love best about Destined to Win? Having sat under the teaching of Kris for years in Bethel Church, I've appreciated his simple and blunt, yet humble style of communication. Destined to Win continues in his genuine vein of imparting truths designed to being awareness and freedom to ones life, which implicitly gives people permission to be human, yet calls them to nobility. I love this about his words, and this book. What other book might you compare Destined to Win to and why? 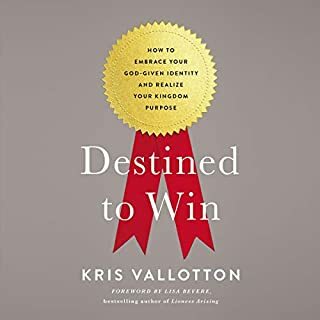 I might compare Destined to Win with The 8th Habit by Stephen R. Covey, in that they both focus on helping individuals and organizations maximize their innate potential, but Destined to Win is much more explicit about the role God plays in making this happen. Kris's candid admission of his personal style of external processing was one of my favorites. In addition, his discussion of the Nobility "bus", or group of people helped me to to discover my voice in a new way. Now I realize why it often has taken extra work for me to connect with others. Learning about this is very cathartic and helps me to see that I need to put forth more effort to connect with others of my "tribe", and gives me hope that there is a group of people to which I belong, dispelling the notion that I'm alone. Yes. It's mix of principles with concrete stories and illustrations made it relatable and interesting, although to get the most out of the book there are certain question posed by Kris which one might be interested in answering to discover more about themselves and their organization. 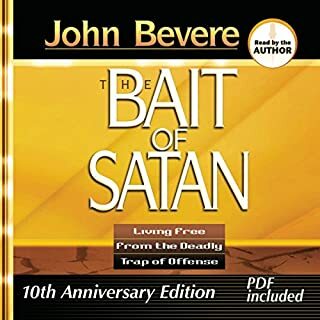 It's a strong book that was certainly worth the purchase price, especially since I'm Christian and am cut from the same clothe as Bethel Church. However, this does not preclude others from getting a lot out of Destined to Win since his simple and direct language doesn't use too much "Christianese." I would add that the ending, though valuable, is not a strong finish. I look for books to have a strong, memorable ending, but Destined to Win unfortunately neglects this formality of writing. 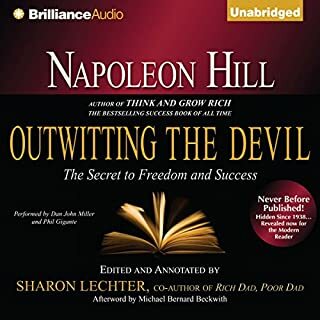 This mistake notwithstanding, if read and applied, this book would surely change the life of anyone who read it and give them the tools and courage to change their world. 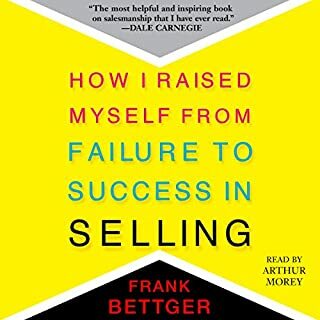 If you want a better life, read and act on this book, whether you're in sales or not. Before I started this book, I didn't realize the extraordinarily deep extent to which offense had become part of my life. After reading this book and releasing all offense and unforgiveness, my life will never be the same. Very powerful. Too important to be ruined by its narration! 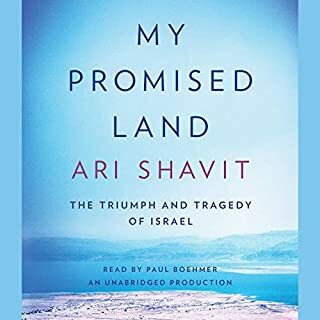 If you want to understand intimately the history of modern day Israel, from start to present day, and grasp its' culture from a big picture level, listen to this book.